Carpet is more than just a soft surface to step on. Carpet brings a sense of peace and comfort to any room, creating the perfect environment to sit back and relax. 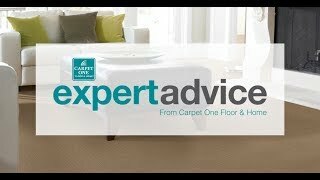 Here at Brewer Carpet One Floor & Home, we want your carpet buying experience to be easy and straightforward, so we provide you with all you need to know about carpet to make the right choice for your home. We even offer premium carpet installation services. We won’t let your carpet investment become overwhelming. With our exclusive Select-A-Floor system, we can narrow down carpets on the market that match your lifestyle. Don’t worry about accidents or cleaning constantly. The Select-A-Floor™ system will take those factors into account when narrowing down the options. Who knew that purchasing carpet could be such a breeze? There are five different types of carpet. The one that you ultimately choose should reflect your personality as well as lifestyle. We carry carpets that range from kid and pet-friendly to waterproof, and hypoallergenic, so you’re covered no matter what the circumstance. Sit down and take a moment to think about what is important to you. Would you prefer patterned or solid colored carpet? How many people live in your home? What rooms are most often used? All of these factors play a role in your carpet and its longevity in your home. Once you’ve thought long and hard about your specific lifestyle, you will better understand the different types of carpet that will work for you. The types are level loop, patterned, textured, frieze, and plush. Carpet is a relaxing flooring choice and is ideal for comforting rooms like living rooms and bedrooms. However, if you dream of carpet throughout your home, our stain-resistant carpets can be installed in areas like hallways, playrooms, and stairs. Homeowners often enjoy the warmth and coziness carpet brings to spaces they enjoy relaxing in. We do not recommend installing carpet in bathrooms or kitchens due to the high levels of moisture. As part of the Carpet One cooperative, we offer exclusive brands such as Relax it’s…Lee’s and Tigressá®. We also have popular brands like Karastan, as well as other loved brands. Visit our showroom to see all of the available flooring options we have available. You will be sure to love our broad selection and friendly flooring professionals. Choosing the right carpet is made easy with us. We’ll help you learn about the different choices you have in carpet to install in your home or office. Loop, pattern, frieze, plush... there is more to carpet than you think. Let us teach you about the different carpet types you can choose from. We know you’ve spent a lot of time picking the right carpet for your home, so we make sure that your floors are covered by great warranties.